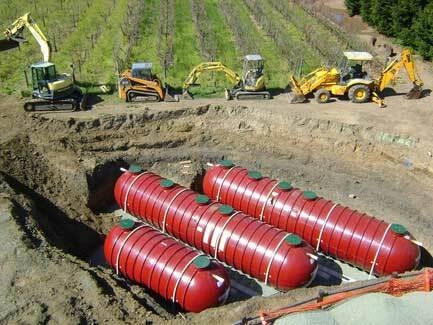 Xerxes underground water tanks are NSF 61 certified, listed and labeled for potable drinking water. Optimizes property use and aesthetics as well as addresses weather considerations. 30-year limited warranty for internal corrosion. 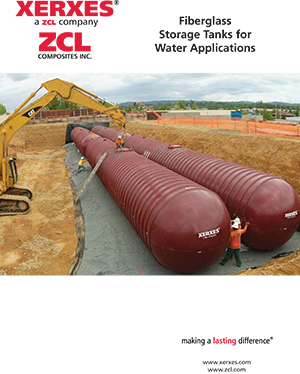 Non-corrosive fiberglass Xerxes underground tanks have a structural design that achieves most desired load ratings needed. May qualify for LEED points from the U.S. Green Building Council’s Sustainable Sites and Water Efficiency. Manufactured and designed to NFPA 22 standards for water storage for fire protection, firefighting adapters are available. How much water storage capacity do you need? 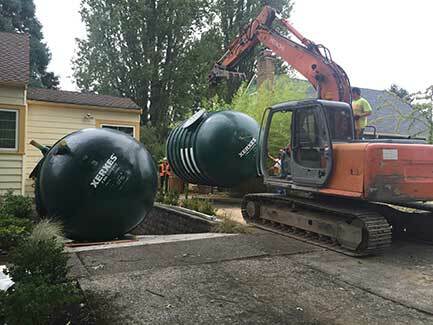 Xerxes underground potable tanks have been submitted for third-party lab testing as well as the manufacturing facilities have been inspected by NSF. This detailed evaluation and testing enable Xerxes tanks to be certified for compliance with NSF Standard 61 for drinking water with a verified labeling for the completed tank. Xerxes underground water tanks structural design is rated for traffic load conditions as well as many weather conditions. 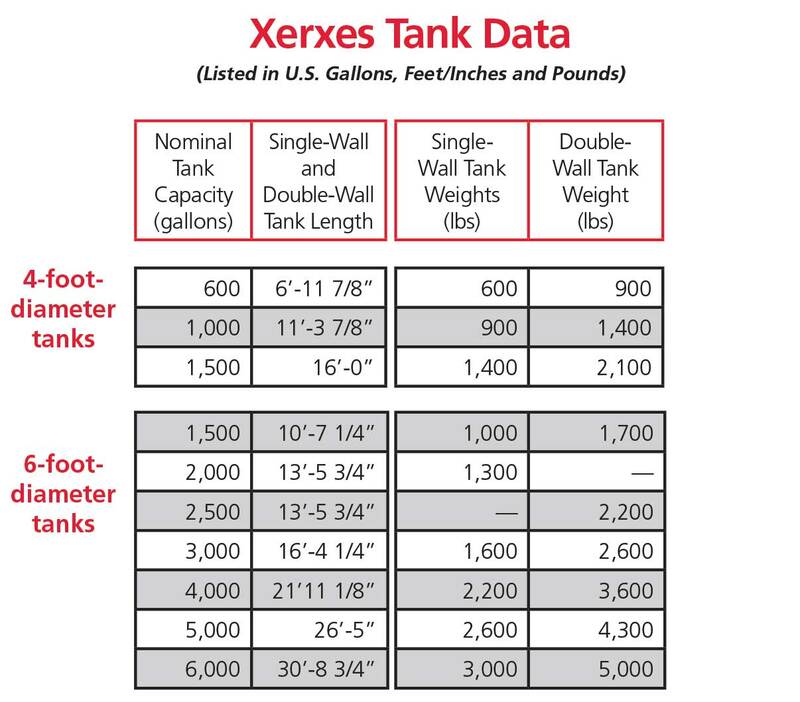 Xerxes reinforced fiberglass tanks are manufactured with high-quality resin and glass. 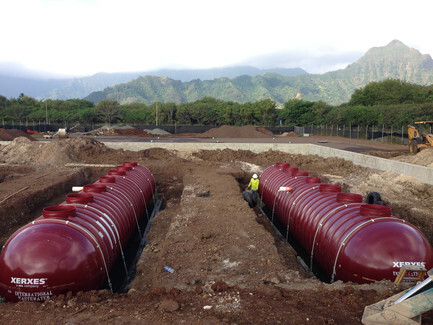 The underground water tanks have a unique integral rib design, reinforcing the structural integrity while maintaining a reasonable weight. This cross-section of a Xerxes tank wall shows the encased rib shape that is then encased with another wall on the other side for optimal structural strength.